People who want to buy Microsoft’s new Surface Book laptop-tablet hybrid will have to look somewhere other than the company’s online retail store, for the moment. The online Microsoft Store isn’t letting people pre-order the new device. Instead it asks that they leave their email address so they can be notified when it’s next available. Fortunately for Microsoft, this means that there’s healthy demand for the machines. 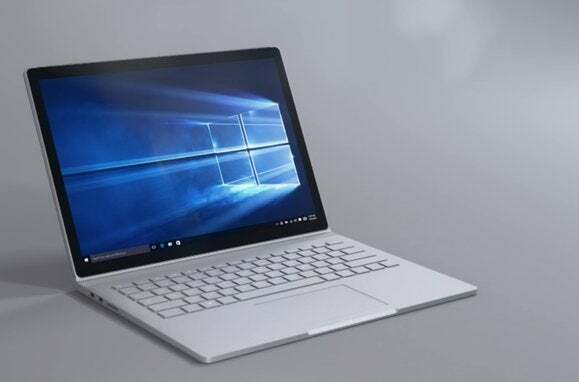 It’s a positive sign that the Surface Book, which marks Microsoft’s entry into the laptop market, has clearly piqued users’ interest. It’s more validation of Microsoft’s strategy of building its own PCs after it avoided the market for much of the company’s history. The Surface Book was announced last week during a Microsoft press event in New York. It offers a high-resolution touchscreen and a keyboard that’s joined to the screen with a special hinge. That hinge lets people disconnect the upper part of the laptop and use it as a tablet. Users can also purchase more expensive models that come with a dedicated graphics processing unit to handle more graphics-intensive workloads. People who want to order the device online can still get it from Microsoft’s retail partners, including Amazon, Best Buy and Fry’s Electronics, so it’s not completely unavailable for purchase ahead of its expected Oct. 29 launch date. It’s not clear when the Microsoft Store will get more in stock or if they’re still available for pre-order from the company’s physical retail locations. Meanwhile, Microsoft fans and observers should remember the cautionary tale of the first Microsoft Band. Even though it was sold out due to “overwhelming demand,” it doesn’t seem to have set the fitness wearable world on fire. Still, selling out of pre-orders is a good first step, and very reminiscent of products from Apple, which appears to be a useful inspiration for the company’s strategy of building its own hardware devices.